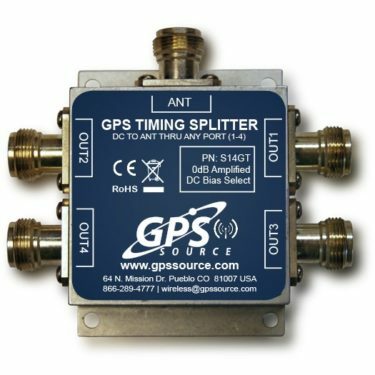 The GPS Source S14GT Timing Reference Splitter reduces clutter and complexity by linking a single reference antenna to multiple receivers and synchronization modules. 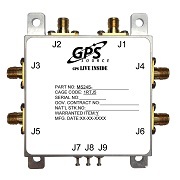 The S14GT is a GPS splitter by GPS Source, designed to help you reduce the cost and complexity of your wireless installation. It does this by making it possible to power multiple receivers and synchronized systems via a single referencing antenna. 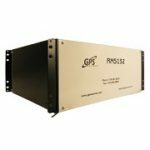 No additional antennas, no messy cable arrangements just a clear, high-gain/low-noise signal delivered to each receiver, amplified on-board to compensate for any losses caused by splitting the signal. The S14GT also has a redundancy failsafe built in to prevent interruptions to the antenna’s power supply. By using a DC bias select circuit, power is divided between a DC bias and multiple DC loads. In the event that the bias fails, one of the loads will take its place automatically, and the antenna will continue to receive power. The S14GT from GPS Source is available through Blue Planet Geomatics. If you would like to learn more about it, please feel free to get in touch with us by completing the Request Pricing form.